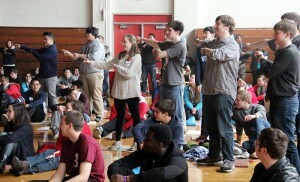 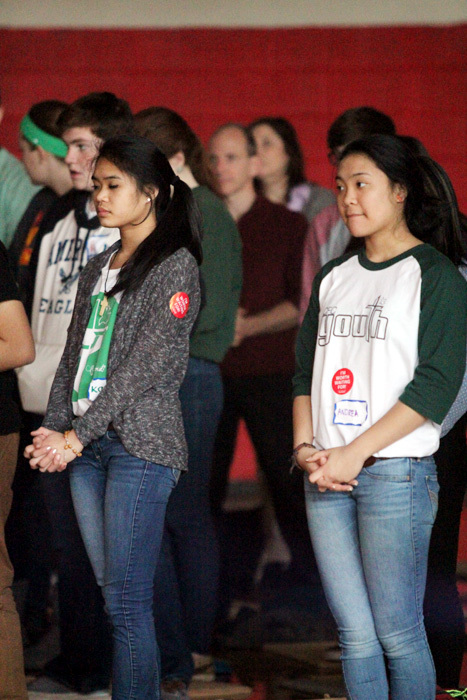 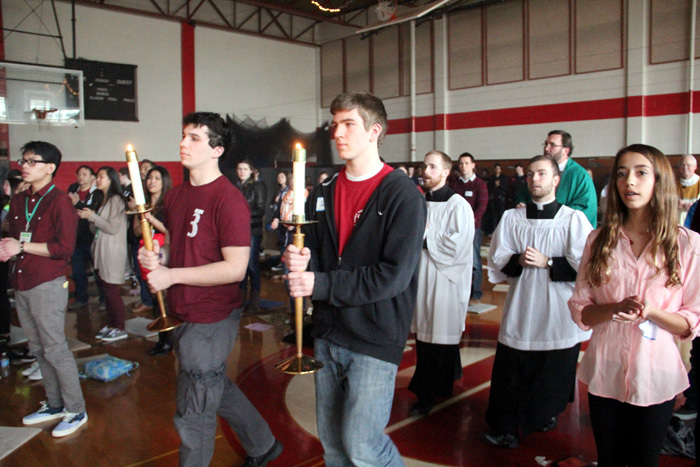 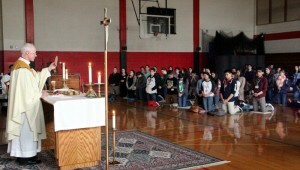 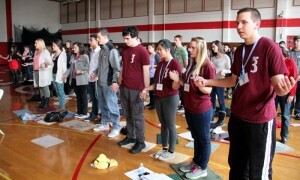 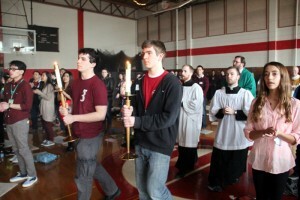 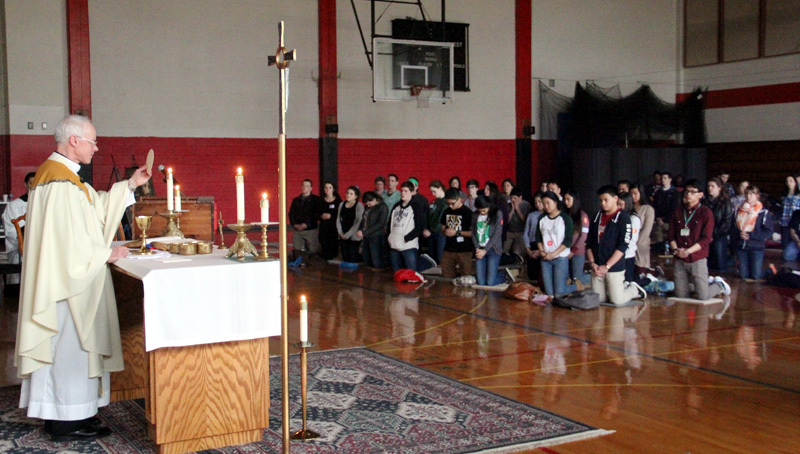 Father John Ames, director of the Office for Catechetical Formation which sponsored the youth rally, leads the celebration of Mass March 2 at Archbishop Carroll High School’s gym. 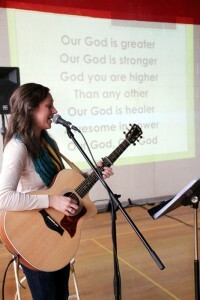 Teresa Peterson led the music ministry for the day, including at Mass. 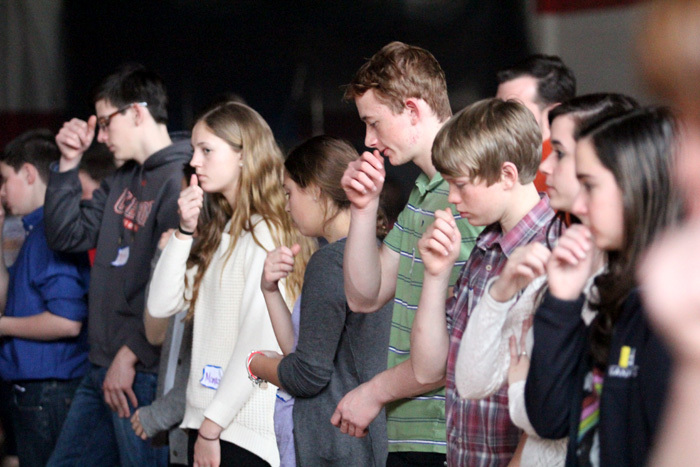 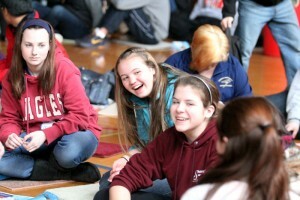 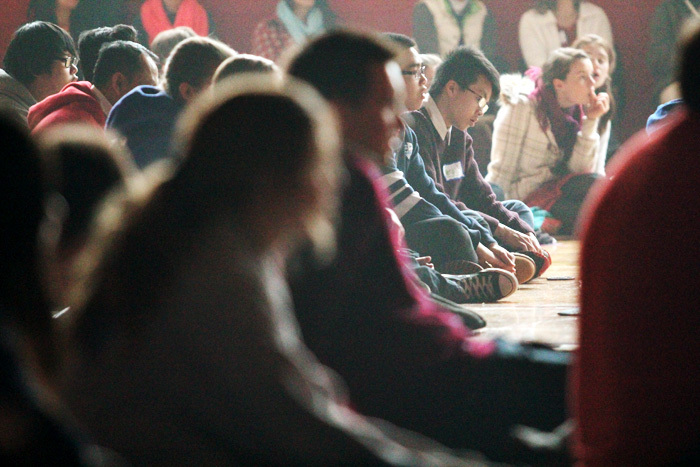 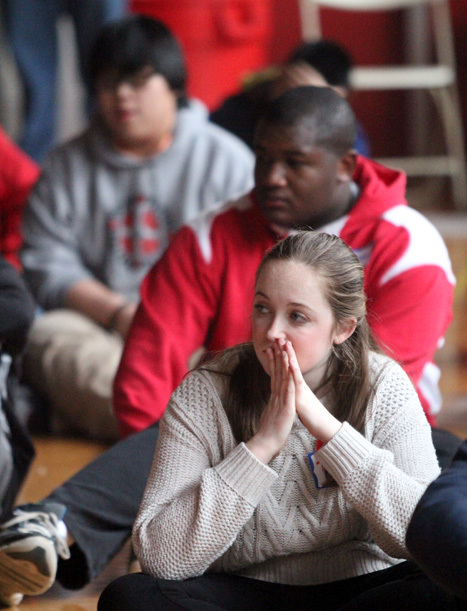 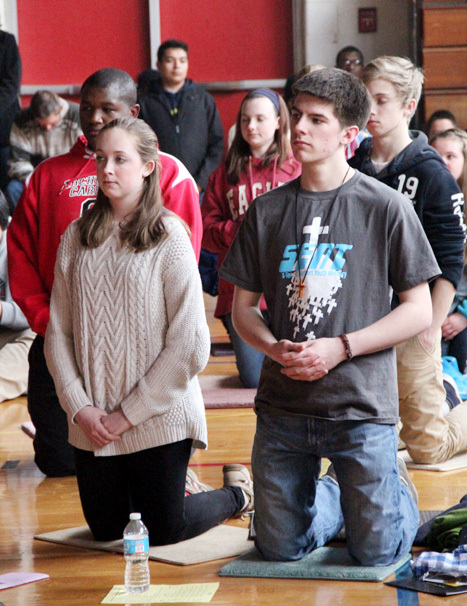 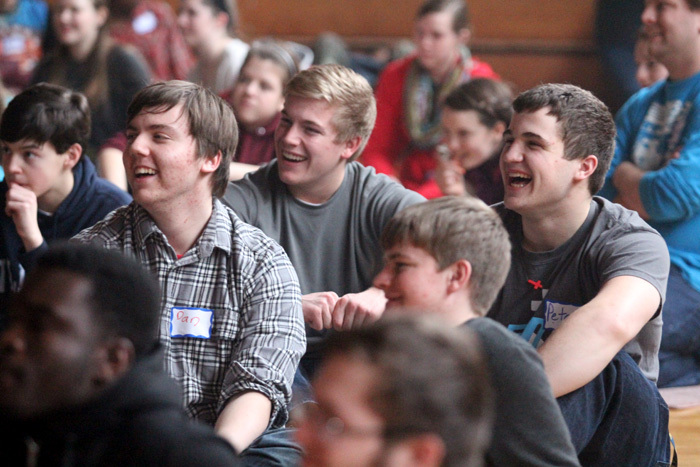 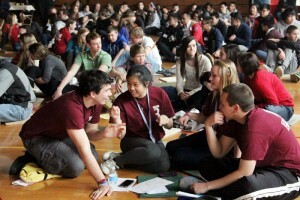 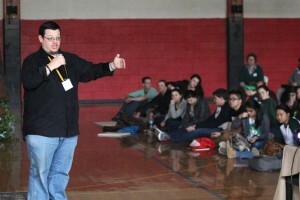 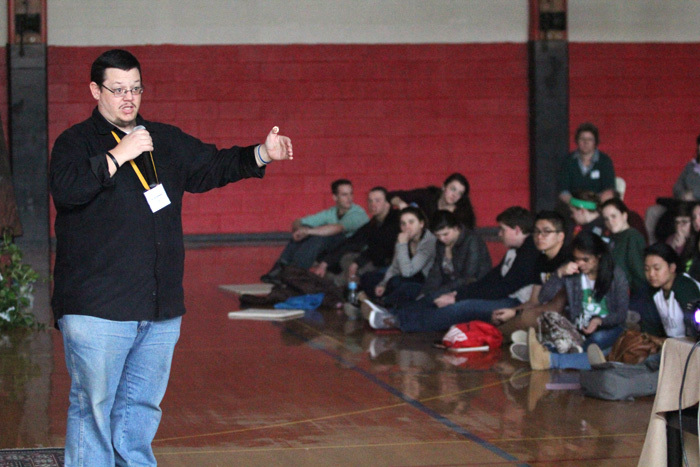 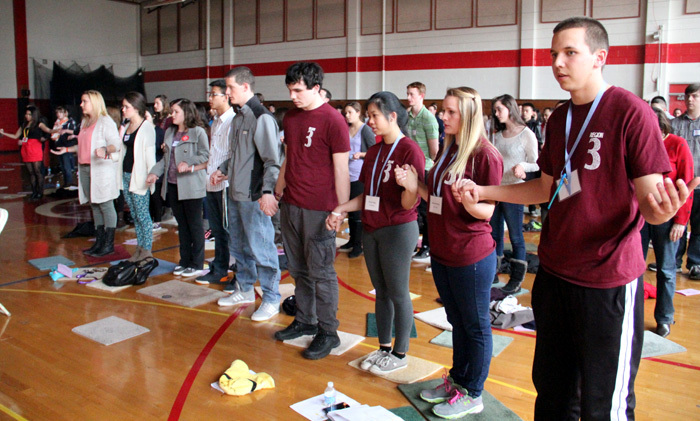 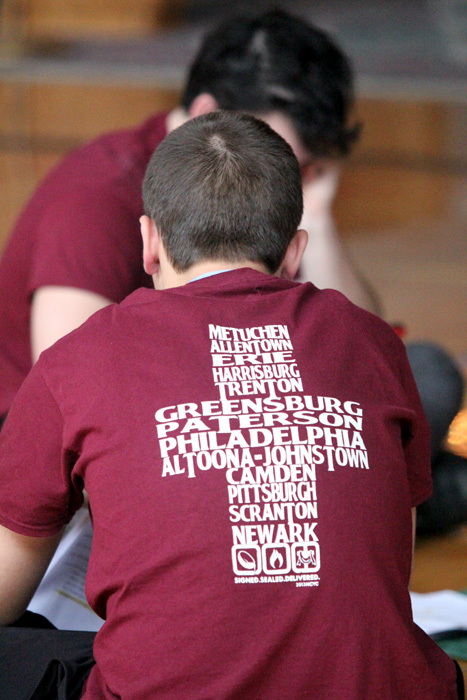 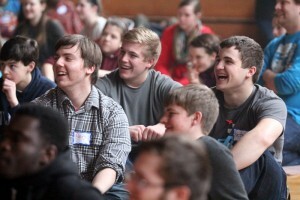 Scott Anthony, youth minister at St. Joseph Parish in York, Pa., served as master of ceremonies for the youth rally.